Huge thanks to Alan Rabbitts who took on a pretty daunting challenge for the JTYAF. 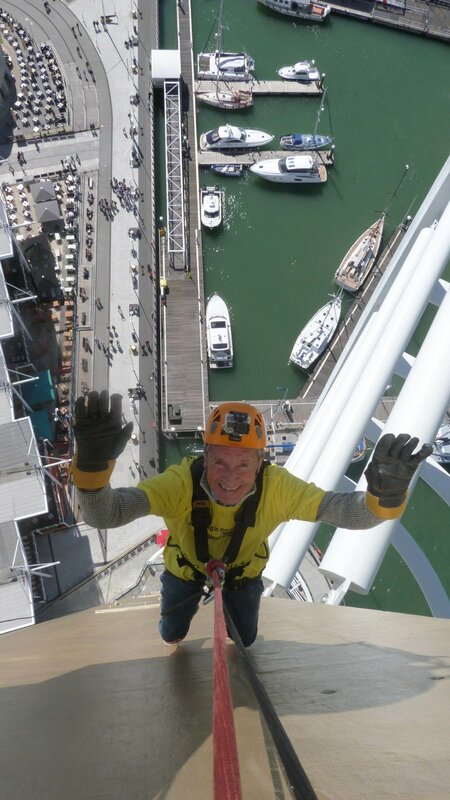 An abseil 100 metres down the side of the Spinnaker Tower. He said that one of the best bits was hearing his little grandchildren shouting 'Come on Grandad!' He could hear them from the top of the tower!